Sarah & Jeremy hired us just a month before their wedding after going through some crazy planning experiences! Sarah also planned just about the whole wedding while Jeremy was deployed. She brought together their styles with their very own hunting feathers incorporated into her bouquet and throughout all of their reception details. 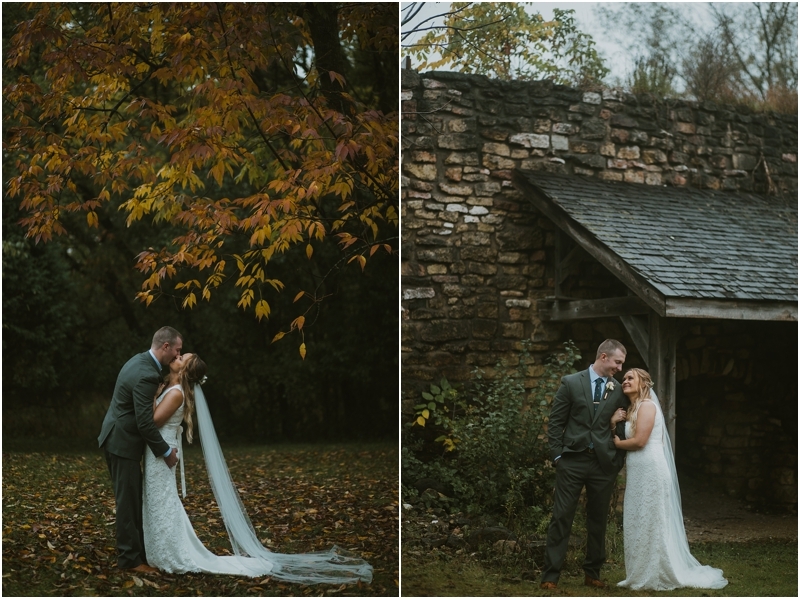 It rained throughout the entire day, but that didn't stop us from grabbing some beautiful Fall photos outdoors! We absolutely adore these two and couldn't be more thrilled to capture these memories for them.